Pretty is back, but bolder than ever before. What once was grey is now emblazoned with florals, what was navy is now pastel in shade. 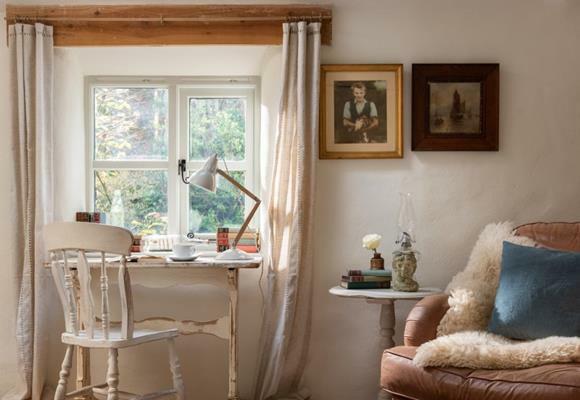 Dark, ditsy-print wallpapers wrap whole rooms in moody glamour, lace curtains bellow in the breeze and a dash of retro chintz is unashamedly working its way back into fashion. Not the return of girlishness as we know it, this new trend mirrors the modern woman of today; strong, independent and not afraid to wear personality on her sleeves. This month, in the season of blooms and new beginnings, we say hello to the rise of modern feminine interiors, plus introduce our latest arrivals. 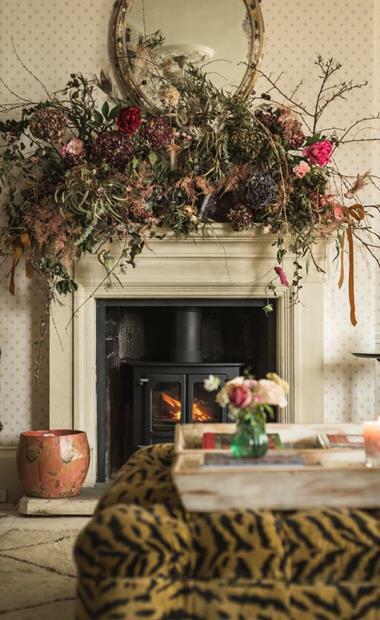 Set amidst swathes of woodland and wildflower meadows on the outskirts of pretty Cirencester, this grand Georgian-style manor offers a rural escape perfect for multi-generational groups. 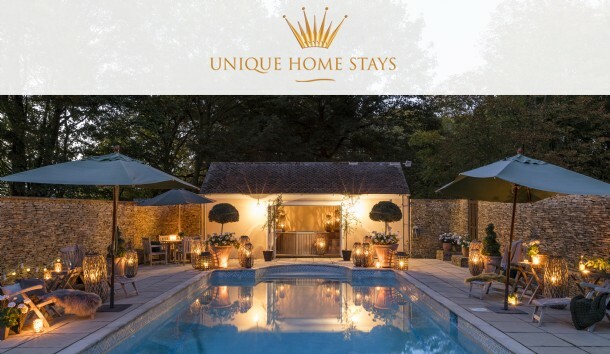 Burn off some energy on the tennis court, challenge the family to five-a-side on the football pitch or simply float around the outdoor pool on a balmy summer�s evening. Far from the cries of city living, this magical home hides within the leafy woodlands of The Long Valley near the beautiful Helford River. Tangle Belle is the peaceful escape you�ve been longing for, complete with knotted botanicals, a babbling stream and an enchanting cottage you�ll want to keep all to yourself. 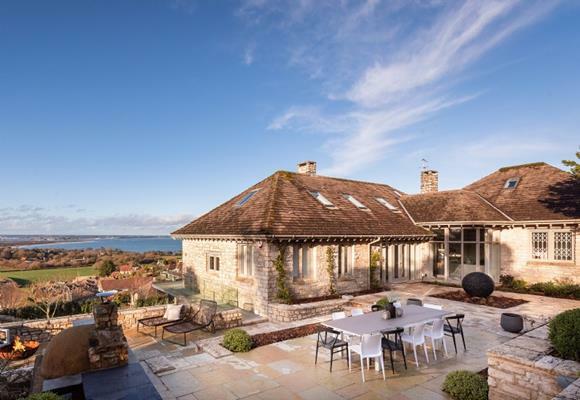 Elphinstone looks out across Studland Bay and the rolling hills of Dorset, settled into the very land that inspired the Famous Five�s adventures. Natural interiors blend into the coastal landscape while enormous windows allow sweeping views of the horizon and tease families out to explore. ...But it would be nothing without a woman or a girl. Bye-bye hard lines and grey-on-grey colour schemes; this year we�re seeing soft fabrics and fresh feminine hues bring a touch of woman to our homes. Even the colour pink has had its own rebrand, with Pantone�s 2019 colour of the year a scorching coral, zinging with warmth and joy. 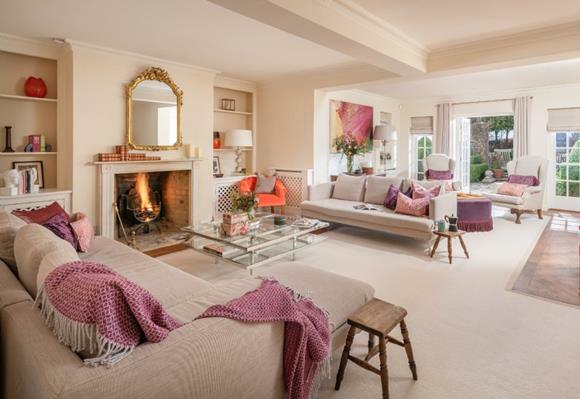 Read the full story and see inside real homes that epitomise the new modern feminine trend.